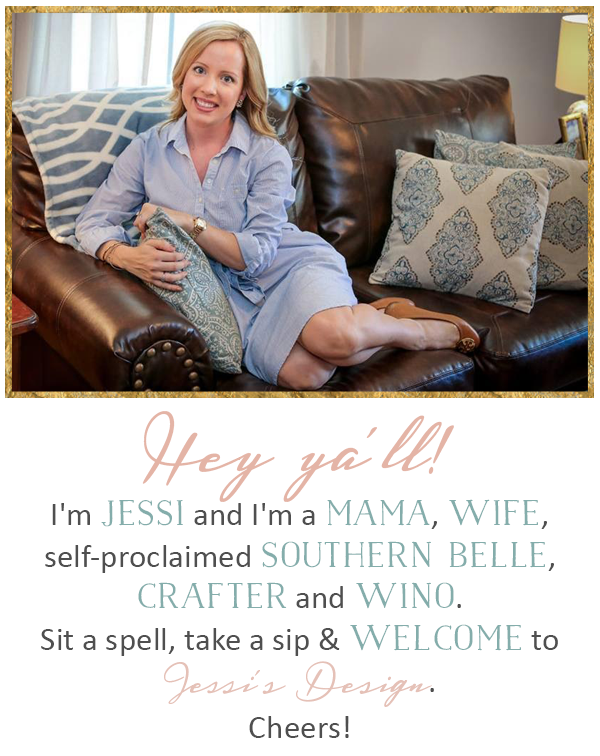 Jessi's Design: Friday 5: Big News! This week has been absolutely crazy! As you all know (well if you read my blog you know) we found what we believe to be our dream home, put in 2 offers, negotiated, got rejected on the last and then it turned into a multiple offer situation. We submitted our final and best offer on Monday and then waited through the most sleepless night ever until Tuesday afternoon when I got the call....... WE GOT THE HOUSE!!!!! I was floored and couldn't even speak! Ya'll this is our absolute dreamboat of a home. 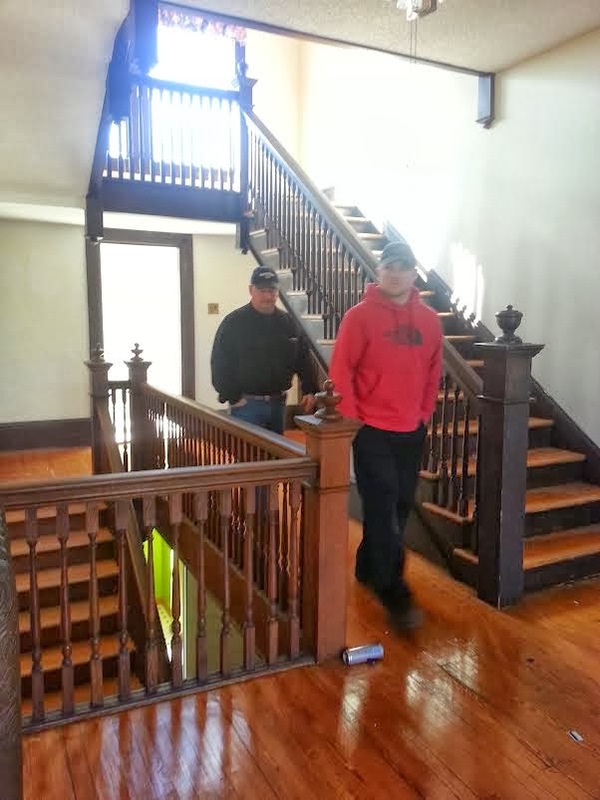 We are HGTV/Renovation fanatics and this home is screaming to be restored to its former glory! It was built in 1850, about 4,400 sq feet ready to be filled with love and future babes (hehe) and it is super close to honey's work. 5 acres right in town isn't bad either! Now we don't close until March 7th so I'm not sure I should even be posting this (heaven forbid anything happen) but my heart is filled with so much joy that I couldn't even hold back! OH- and I must tell you that my blog will now most likely be filled predominately with our ROAD TO RENO DREAM HOME JOURNEY BEFORE & AFTER! Also, we are keeping our current home for an income property so it isn't too too sad leaving it behind knowing it still belongs to us and the renters coming in are absolutely fabulous! So with that said, I want to share 5 pictures of the beautiful 'project' that awaits us. I hope you all have a fabulous weekend and I pray everything goes smoothly over the next month! Honey and my Dad checking things out! Jessi--THIS IS GORGEOUS!! SO excited for you and this new adventure! Can't wait to see it all come together!! Celebrate lots this weekend! That is gorgeous!!! Have fun! What a beautiful house! Congratulations!! GORGEOUS home!!!!!! Congrats!!!!! Can't wait to see all of your projects!! How exciting!! The house is beautiful...can't wait to follow along with the before and afters!! That home is gorgeous!! Can't wait to see what you do with it! Oh wow! I am so excited to follow along as you renovate your dream home! It's going to be amazing! YAAAAAAAY so excited for you!!!!!!! Can't wait to see you make it just perfect, I know you will! Congratulations! This is so exciting! What a beautiful house! 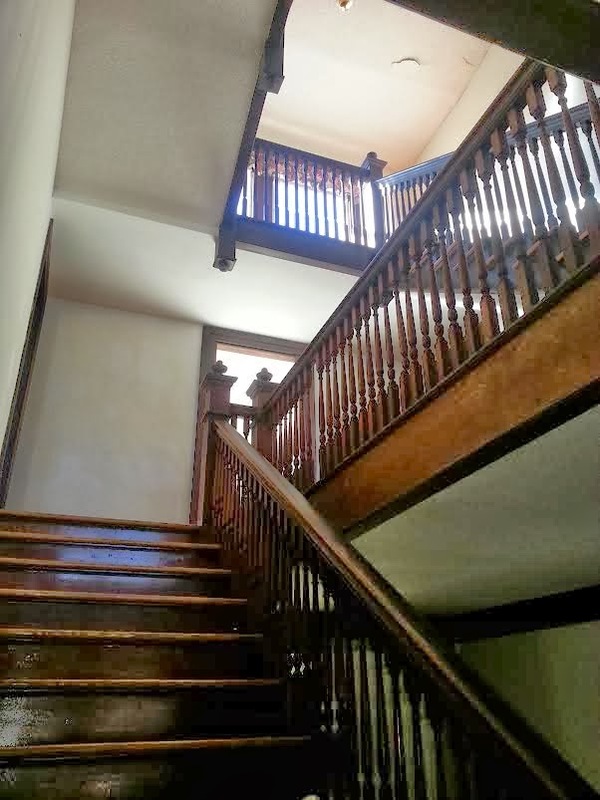 I love historical homes with wooden floors and a sprawling layout! Can't wait for your future posts! :) Have a lovely weekend! Congrats! I love that house! New follower from 5 on Friday! Wow that door, those floors!! Amazing!! Congrats!! Congratulations on your new home! It is beautiful and has so much character! I am dying over that front door! They dont make them like they used to! So gorgeous! Have a fabulous weekend! BE YOU TI FUL!!! Wow! SO much character.. and that door!?!?! Wow. Can't wait to see your updates on your renovations, etc. What an exciting time for you guys. Congratulations!! I am so excited for you guys! It looks like a really big house, too! It just needs some love! The front door looks AMAZING... oh, I can't wait to see the progress on it! Contrats, it looks amazing inside. 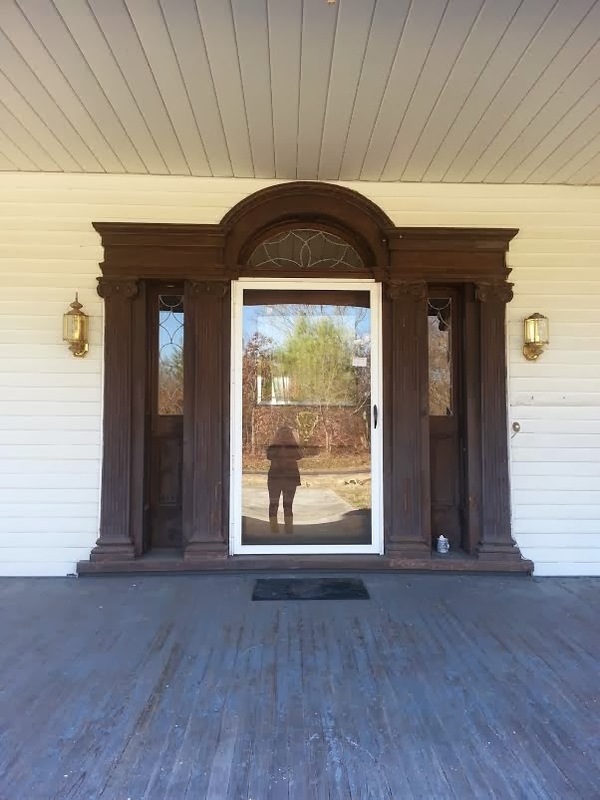 The door and the dark wood trim are to die for!! The house is BEAUTIFUL. AMAZING. JAW DROPPING. SO glad it is YOURS!!!!!! Jessi, OMG that house is BEAUTIFUL! I'm so glad you got it! So, I guess you won't mind if I live vicariously through you when you post all your updates? I can't wait to read more!! The potential is incredible! It will be so satisfying to pour some "sweat equity" into it! CONGRATS!!! The house is absolutely beautiful!! Love love love beautiful houses that just need some love! Can't wait to see this journey!!! Wow, congratulations!! You've got quite the adventure ahead of you! I know it will be gorgeous!!! That's amazing news, happy Friday!!! Visiting from the link up. Looking forward to read more about your house projects! This is absolutely gorgeous! 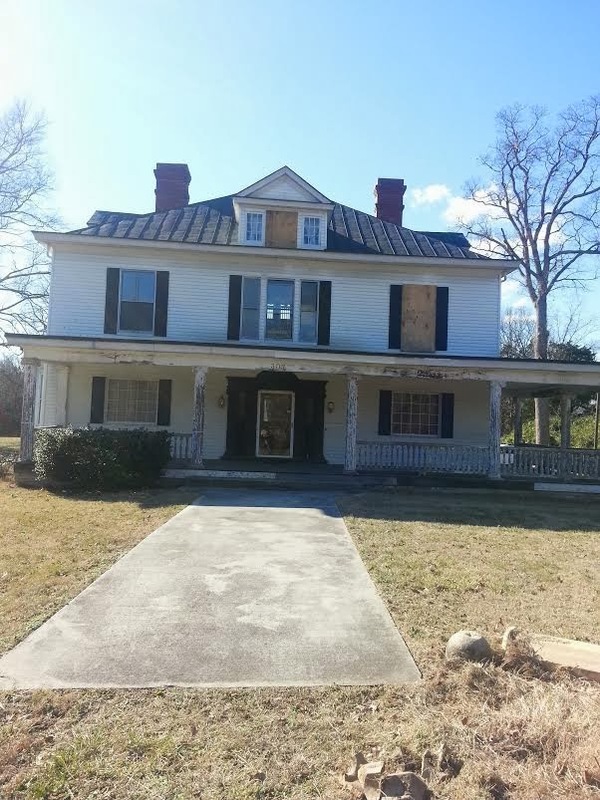 I love old farm houses and it's my husbands dream to own one! Can't wait to see the journey! Oh, I love this home! It's beautiful and 5 acres in town, wow! Can't wait to see what you guys do with it! Congrats! Good LORD!!!! That house is stunning.... I can't even tell you how jealous I am right now!!! Beautiful!!!! OH my goodness! i can already see the beautiful potential in that house! cannot express how jealous I am!! please keep posting pictures! so excited to see the final product! Wow!! That house! 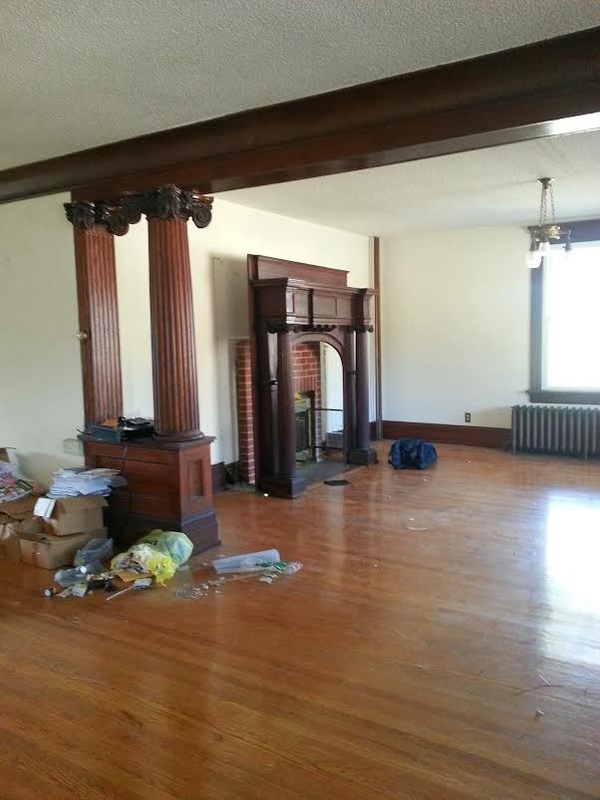 So excited to follow along, that would be my dream to renovate how incredibly fun!! ARE YOU KIDDING ME RIGHT NOW???? I am DYING. That house, especially when you're done with it, is going to look GORGEOUS. And I am totally envious of that beautiful porch. Oh.my.GOODNESS! That home is gorgeous! The door??? The staircase?? The open floor plan?? The EVERYTHING! Wow. Y'all did good! Real good. Enjoy the whole process! That's it? I was expecting the Vanderbilt!! Oh wait... it basically is!! -_- lol.... congrats!! HOLY COW...it's amazing!!!!! Like, from a fairytale, amazing!! I can't wait to follow along and see all that you do with it! Congratulations! What a beautiful house that has SO much potential, can't wait to see updates along the way. Oh my goodness!! The things I love about this house: the front porch, the front door, the entry way, the staircase... I could go on and on! I can't wait to see more posts about your new adventure. Congrats on the house! Very exciting! Congrats!!! That house is charming! Can't wait to see all the renovations come alive! I can't believe it! 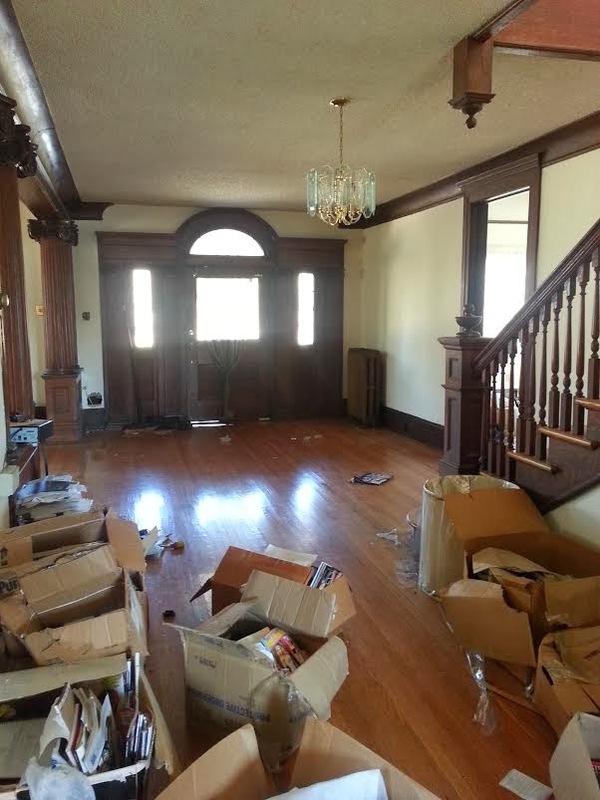 Just imagine how beautiful this house will be once you spruce it up! You lucky ducks you! Congrats!!! Holy moly! I got chills looking at these pictures! This home is beautiful! I can only imagine what it will look like once y'all get your hands on it! Congratulations! OH MY GOSH!! What a BEAUTIFUL home! I seriously cannot wait to see the before and after pictures! You will do an amazing job decorating I'm sure! What an absolutely beautiful gem of a home! What a wonderful place you'll have to live and create in! I'm so glad I stumbled across your blog! I follow with GFC and would love if you'd come visit me, as well! So exciting! This house is beautiful! I cannot wait to see the after photos! This home is beautiful! Congrats!That staircase is amazing!